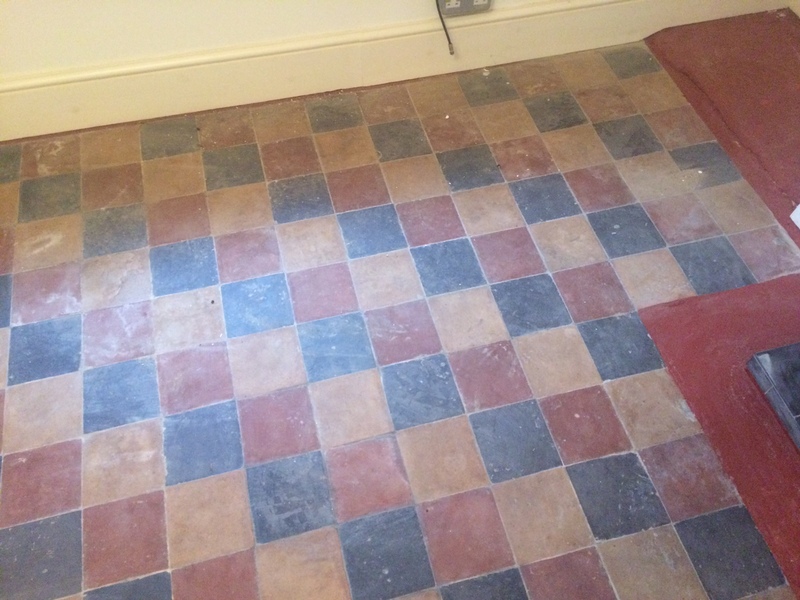 This job was for a lovely old lady in Cambridge, her kitchen floor had been covered with a wood effect Lino thirty years earlier and she felt it was time to have it removed and have the original Kitchen Quarry tiles underneath restored. 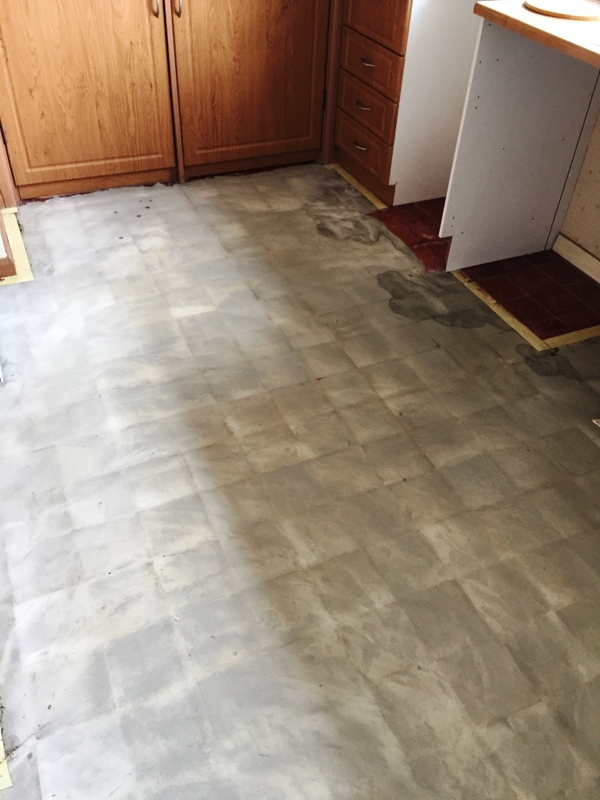 The lino was good quality having stood the test of time however to ensure the lino didn’t sink into the grout lines the whole floor had been levelled with some sort of screed which would need to be carefully removed. 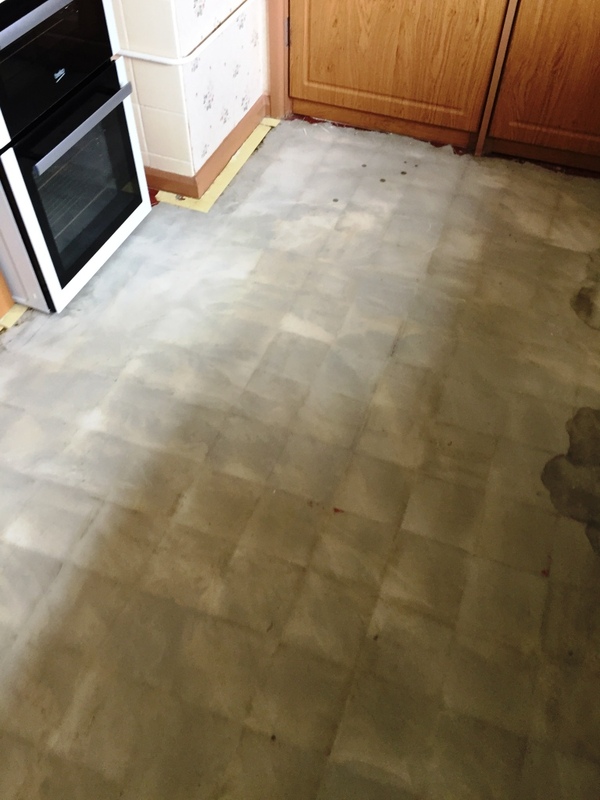 My first task was to carefully scrape off as much of the linoleum covering as possible without damaging the floor beneath. I managed toe remove most of the screed by lightly chipping away with a chisel and hammer followed by a blade to scrape as much screed as possible off the tile and grout. 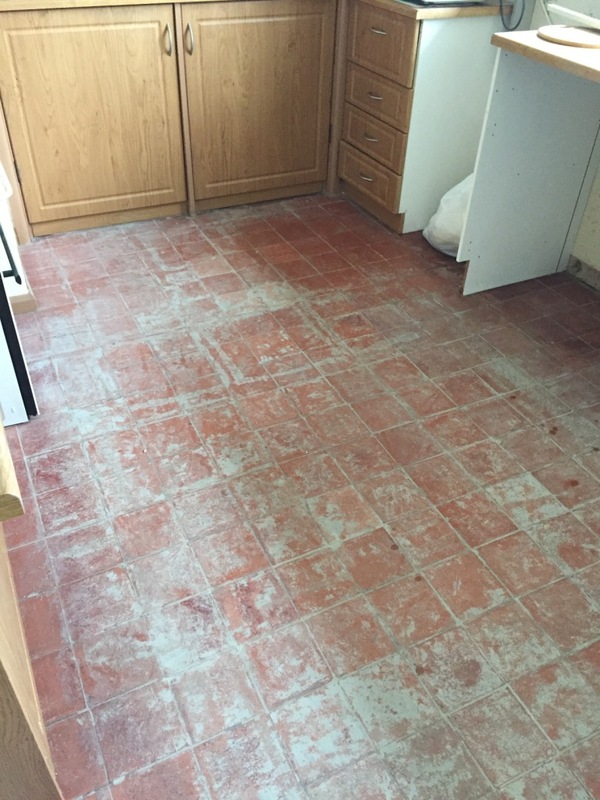 To deal with the remaining screed I used a strong dilution of Tile Doctor Grout Clean-up which is an acidic product and needs to be applied with care. It was scrubbed in using a rotary machine running on slow speed and fitted with a black scrubbing pad. To remove the soil I used our truck mounted hot water extraction machine which applies hot water under pressure with a special lance that simultaneously extracts the waste back to a tank on the van. 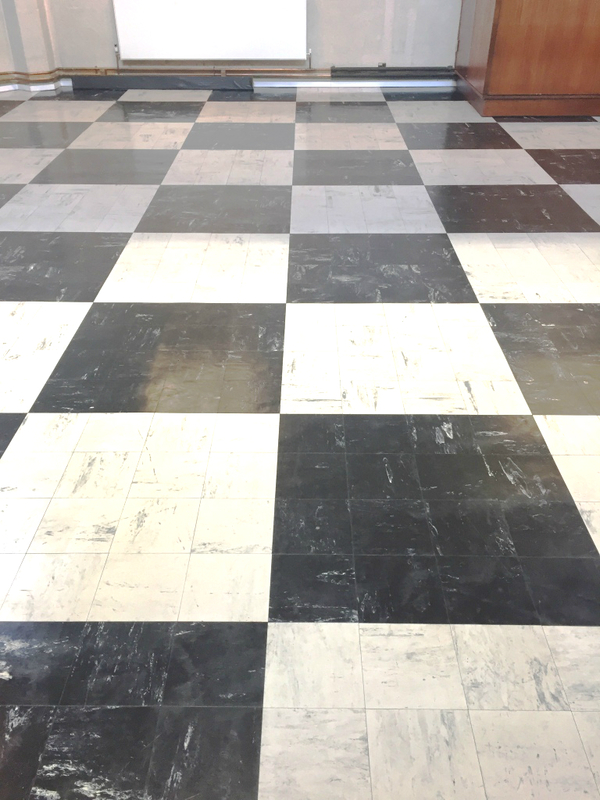 The last stage of cleaning was to apply a coat of Tile Doctor Oxy-Gel to remove any previous sealer that may still be present on the tile. As well as using the scrubbing machine I also used a stiff brush along the grout lines as well. Final step was another rinse with the truck mounted extraction machine before leaving the floor to dry off fully overnight. 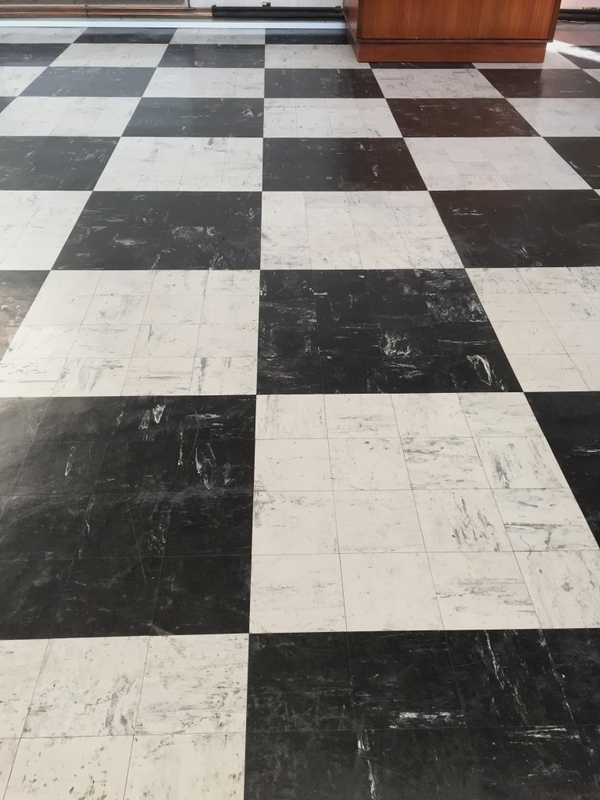 When I returned to the property I used a damp meter to test the floor, making sure that the surface was dry enough to commence sealing (as any excess solution can affect the performance of the sealer). 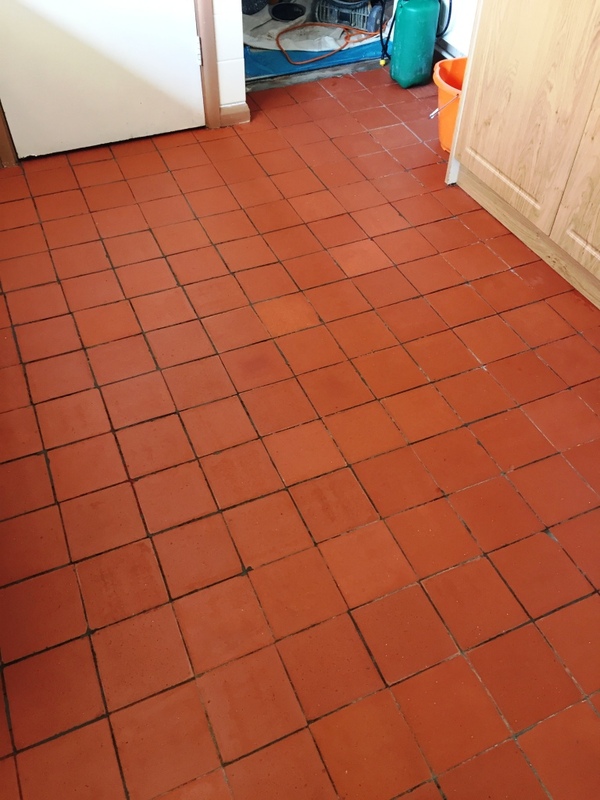 My sealer of choice was Tile Doctor Seal & Go Extra, a topical sealer which works well on Quarry tiles restoring appearance and providing a nice finish along with durable protection. 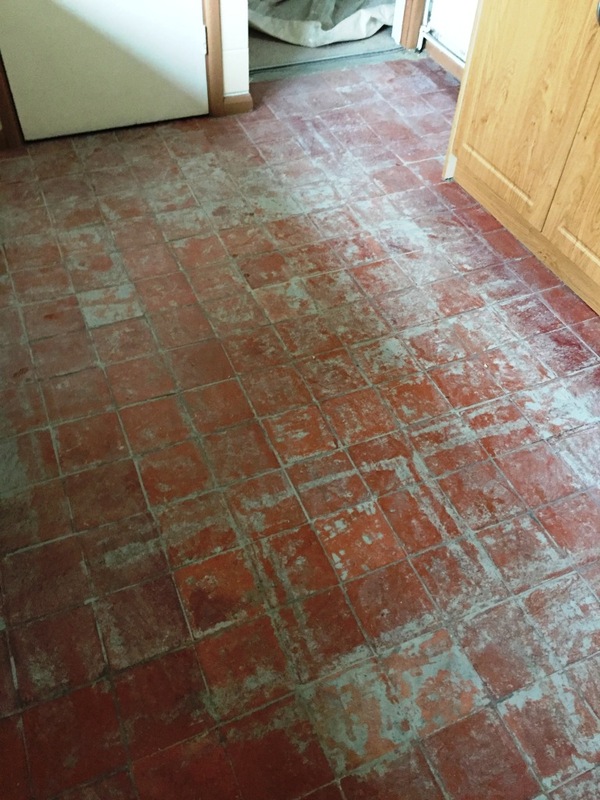 This particular sealer is also suitable for floors where damp maybe an issue and with an old floor like this installed before the invention of Damp Proof Membranes choosing the right sealer is very important to avoid issues with efflorescence. 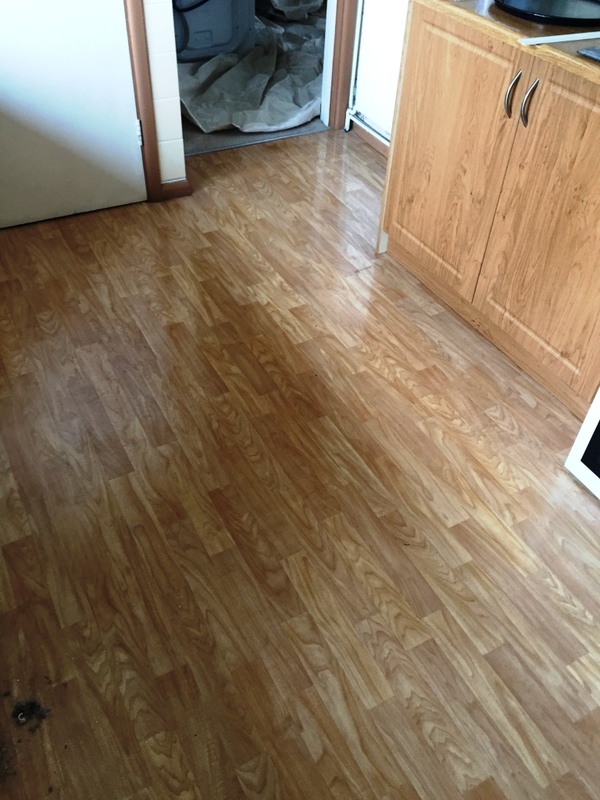 The floor was completely transformed and the client was extremely happy with the out come and even left the following lengthy testimonial on the Tile Doctor Feedback system which is always appreciated. 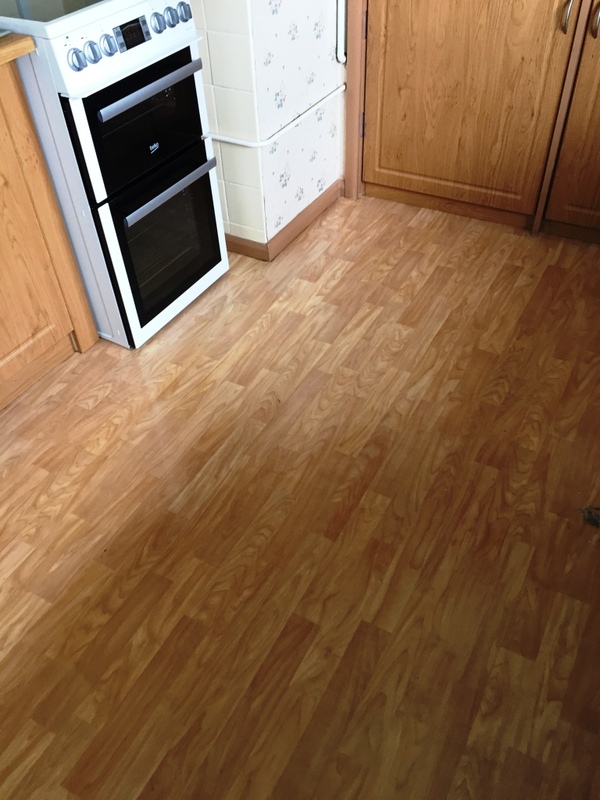 “Tom did excellent work on quite a tricky job. Our kitchen tiles are over sixty years old. 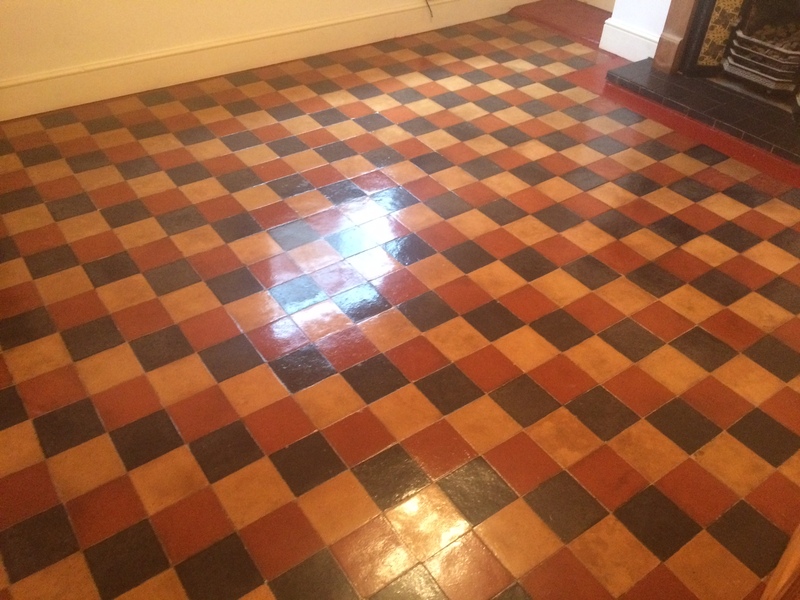 Tom took up and disposed of our old kitchen Lino, removed the layers of concrete screed, then buffed, glossed and sealed the original tiles until they shone like new! 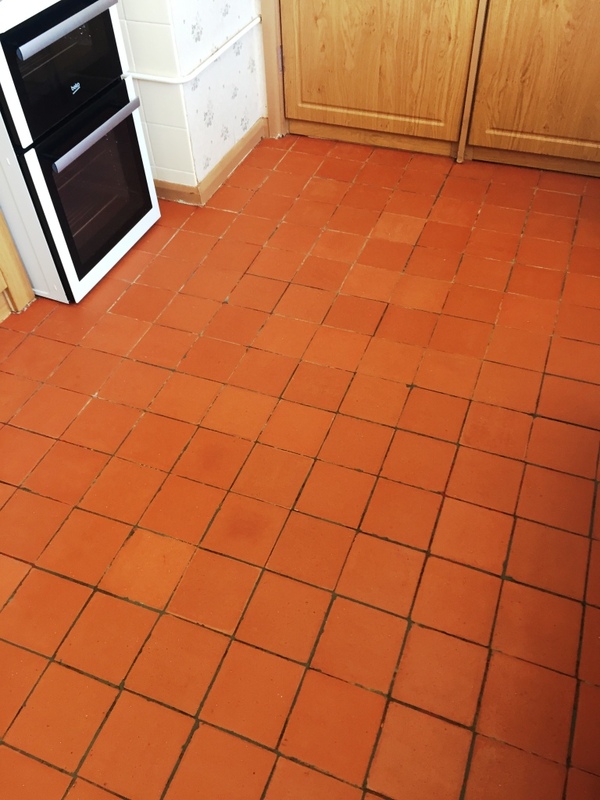 The natural salts worked their way to the surface of the tiles just like Tom said would happen, and a fortnight later Tom returned to re-surface and re-gloss the tiles. The floor now looks great. Tom was very professional throughout and the work was no easy job to accomplish, so he has done a great job. 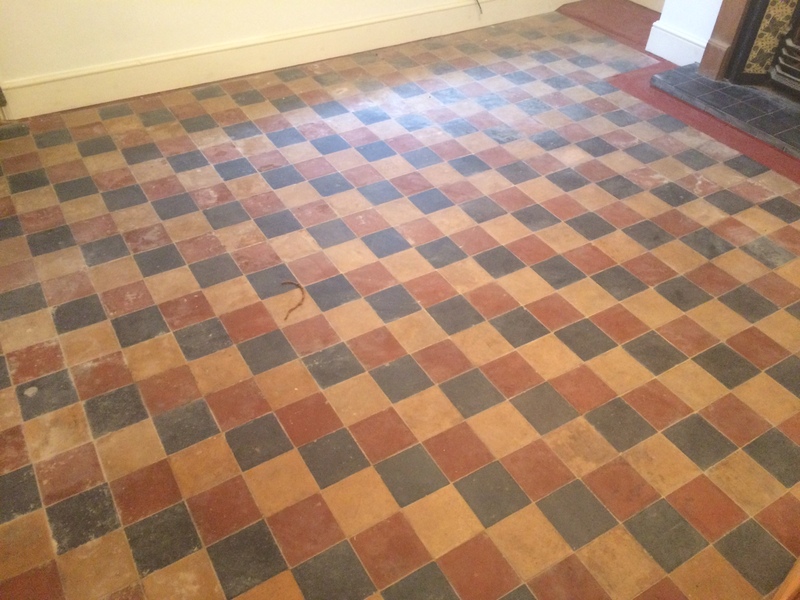 We are very pleased with our kitchen floor, which now has a new lease of life. 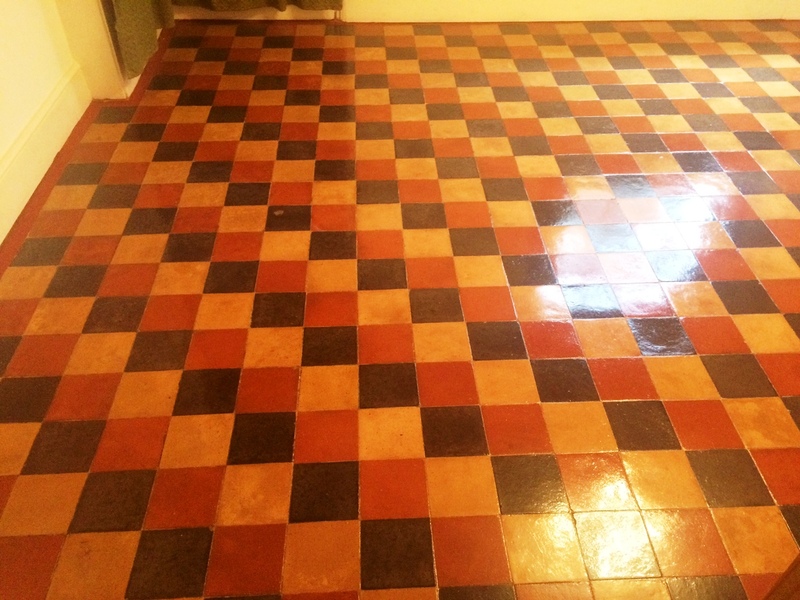 I would recommend the Tile Doctor if you need a floor restored at any time.